Lauren chats to Morris Hayes, bandleader of Prince's New Power Generation and has a Memory Tape from comedian Felicity Ward. 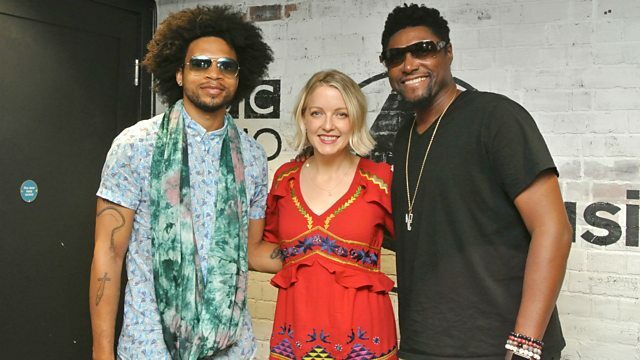 Lauren chats to Morris Hayes, bandleader of Prince's New Power Generation who are in town celebrating his purpleness with some live dates. She also has a Memory Tape from comedian Felicity Ward as she heads off to Edinburgh for her eighth Fringe show. There's new music from Neneh Cherry for our Just Added playlist, and we enjoy some live music from The Scorpios at Womad 2018. At War With The Mystics. Sign O The Times CD2.